We at Prime Safaris and Tours, we have comfortable Toyota Rav4 for hire in Uganda which is a compact sport utility Vehicle manufactured by Toyota; Japan’s leading automobile company. Our Toyota Rav4 cars are suitable for travelers who want a vehicle that can operate as an SUV i.e. 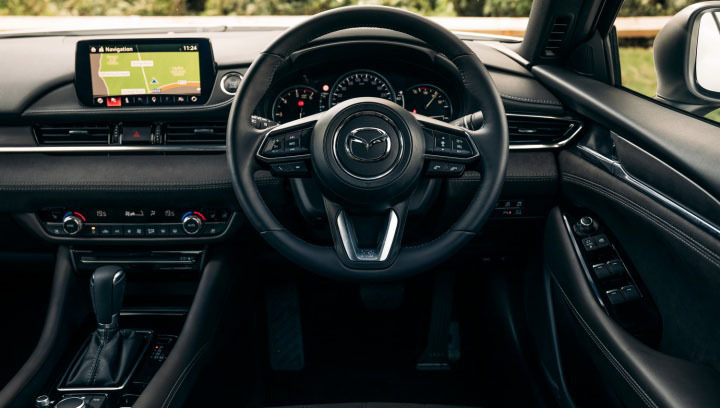 a car with large cargo compartment, economizes fuel, operates on four wheel and easy steering. This Rav4 is suitable for self-drive safaris, family trips, city tours, picnics as well parties. 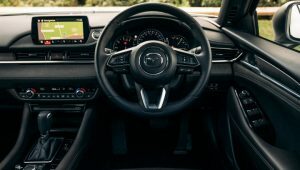 In this class of cars, we have Toyota Corona a nimble hatch suitable for navigating Kampala’s winding city .Our new and exclusive Toyota Corona has features like 1500cc Petrol Engine Manual / Automatic, Air Conditioned, CD Player Electric Windows, Power Steering, ABS Brakes and Airbags. 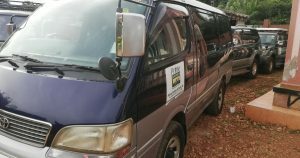 We offer well –maintained 4×4 Safari Tour Vans for hire rent in Uganda Rwanda -Toyota Super Custom for hire to groups of 7-9 travellers. Make sure you contact us to find for you the best car which can accommodate your large group. 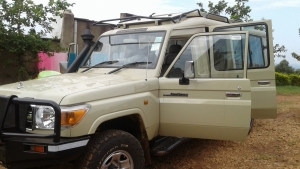 Our Toyota Super Custom has got diesel powered engines, good air conditioning; they have a sliding roof for easy wildlife viewing, they are very comfortable 4×4 safari tour vehicles for hire in Uganda Rwanda and have a full-time 4×4 wheel-drive system. They can be used to any area/ part of Uganda and Rwanda. In this category, we have a series of 4×4 Minibus Coasters for rent hire in Uganda Rwanda manufactured by Toyota; Japan’s leading automobile company. They are equipped with 5-speed manual transmission and a high roof and they are suitable vehicles for group tours, school trips, sports trips as well wedding events like Introduction. All our Coaster Mini bus can accommodate 30-35, travelers with luggage cabins on roof and in the rear. Entebbe International Airport is the main international airport in Uganda and is located near the town of Entebbe, which is situated on the shores of Lake Victoria, Africa’s largest lake. Other attractions in the area include the Entebbe Wildlife Education Center, the Entebbe Golf Course and the Sesse Islands. There are several hotels located near these attractions and within 5 minutes of the airport.Entebbe International Airport is the main international airport in Uganda and is located near the town of Entebbe, which is situated on the shores of Lake Victoria, Africa’s largest lake. Other attractions in the area include the Entebbe Wildlife Education Center, the Entebbe Golf Course and the Sesse Islands. There are several hotels located near these attractions and within 5 minutes of the airport. Jinja is the second largest towns in Uganda and the former industrial town of Uganda. Jinja described as adventure capital of Uganda is endowed with a number of tourist attractions and place where the world’s longest river “The Nile River” sets of its course of 90 days to the Mediterranean Sea in Egypt. Jinja is located about 80kms East of Kampala Uganda’s capital city and is accessible by road, and air in small air craft and a number of tourists visit to see the sources of the Nile, to do Birding in Uganda’s Mabira forest, Bunjee jumping on the Nile, Sunset Cruise on the Nile, White water rafting and spot fishing. This famous tourism destination in Uganda is served with number of hotels, lodges, apartments that range from budget, mid-range to luxury. All these are established to cater for all categorizes of visitor on business or leisure stay in Jinja. Located on the junction to Kasese 2 kilometers from the Mbara town Centre, Lake View Mbarara Hotel is a large modern multi storied hotel set in its own serene environment. The perfect location of the park makes it a convenient stop over offering overnight accommodation to tourists travelling to and from south -Western Uganda as well as visitors to Lake Mburo National Park. Lake View Resort Hotel offers accommodation in 70 tastefully designed rooms with Adjoining Rooms for Families, Air-conditioning, and ensuite Bathroom. At Lake View Resort Hotel, you are free to choose from the hotel wide- range of Standard or Superior rooms. With over 15 years’ experience in event placement and organization, Lake View Resort has the very best venues for your conferences, board meetings, training sessions and parties in Mbarara. Mbale District is one of the largest districts located in eastern Uganda and is home to Uganda’s second highest mountain, the Mt. Elgon. Mbale is mainly covered by hills and a very famous agricultural town of Uganda. Mbale is mainly occupied by the Bagisu tribe and the local language used is Lugisu , though English and Swahili are also used. Mbale town is one of the towns in Uganda that receive a large population of travellers mainly hikers and those interested in cultural tourism. Below is a list of affordable hotels in Mbale, that one can choose from while on his or her next tour to Mbale.Mbale Resort Hotel is a five-star hotel situated in the Centre of Mbale town. The hotel is located within a walking distance from different places of including the Elgon Ranges, the historic Rocks precinct, Mbale Opera House and the beautiful Botanic Gardens, local market, super Markets among other places. Fort Portal Town in western Uganda is a major tourist herb and the cleanest town in Uganda. Located in the foot hills of Mountain Rwenzori also nicked named Mountains of the Moon, Fort portal is a gateway to different national parks including Kibale, Semuliki, Queen Elizabeth, Bwindi Impenetrable, Rwenzori and Toro-Semuliki Wildlife reserves. It is famous for the stalagmites and Nyakasura waterfalls linked to the rich Chwezi culture. The area is surrounded by scenic crater lakes, beautiful tea plantations and the Rwenzori mountain ranges besides a cool climate and hospitable people boasting of the youngest and most handsome king in the world. It is also known for the Bigodi wetland sanctuary. With search attractions, comes with them a variety of hotels and below is a list of the affordable world class hotels in Fort portal. Fort Motel is one of the most popular hotels in Fort Portal, thanks to its unique location in the heart of the town. With our modern rooms and suites that feature beautiful views of the Rwenzori Mountains and endless greenery that is characteristic of Fort Portal. Our guests soon discover the unique ambiance of gracious living which is without equal in our locality. The hotel is conveniently situated in a quiet location just a little outside Gulu Town Center off the main road to Juba in an enticingly serene natural green environment. Wherever your final destination, whether you are travelling for business or pleasure we guarantee your satisfaction. The hotel has 28 spacious rooms designed with your comfort in mind. The hotel rooms are distributed as 4 Executive Suites, 2 Deluxe Twin rooms, 2 Executive Deluxe rooms, 8 Suite Single rooms and 12 Deluxe Single .The rooms are fully self-contained and have features like en-suite with solar water heaters, Bath and/or showers, 21-inch color TV’s showing local and satellite channels, Intercom system, Spacious study area with reading desk and light as well as Complimentary wireless internet connection. The hotel also has tastefully designed multipurpose hall for conferences, seminars and workshops with 200 seat capacity and air-conditioning.